When you fly over Myanmar you see very clearly how the land is used. The towns have started spreading, but have not yet gobbled up the countryside. Most of the country remains a patchwork of agriculture. From the air you can see that farming remains traditional: all the fields are small. This is something that is easily verified when driving through the country-side. People are out selling produce from their own farms. Large scale mechanization and industrialized farms are not here yet. Myanmar is a small country. Most flights take less than an hour. We did most of our flying in turbo-props which stay close enough to the ground that one gets a feel for the land and the way it is used. 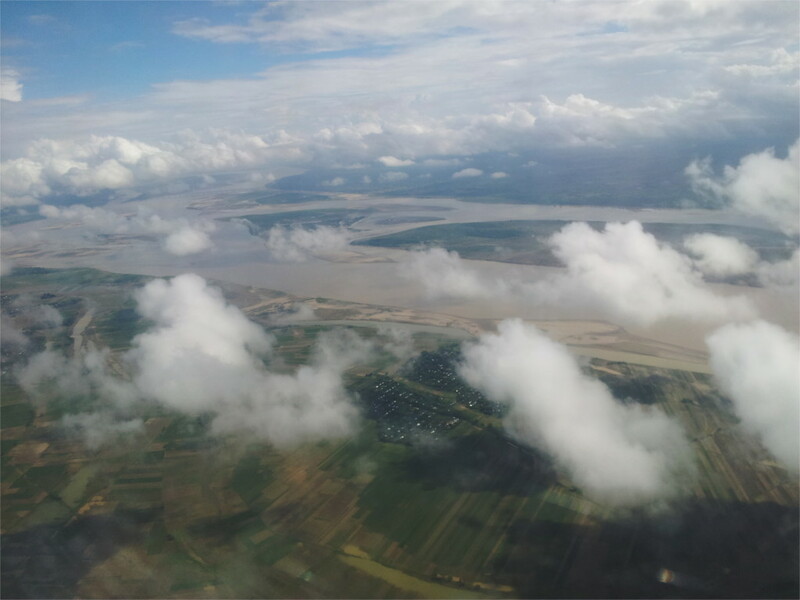 We flew over the muddy Irrawaddy river (photo above). Fluffy clouds receded into the distance, throwing a patchwork of shadows on the little fields below. 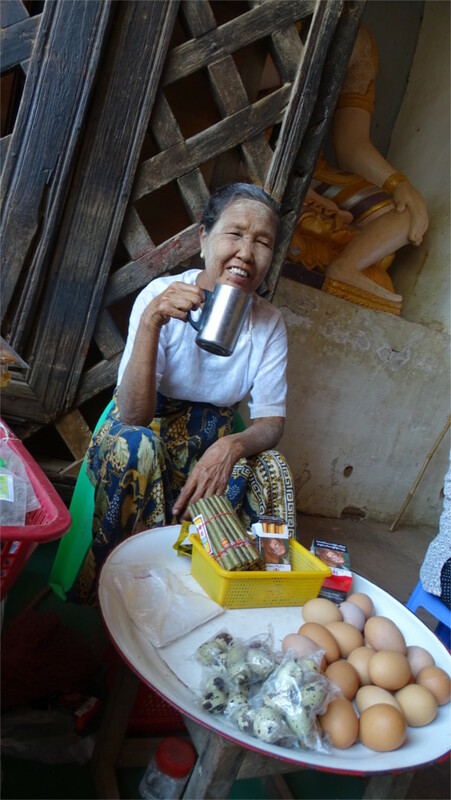 Living in Myanmar seems to be hard, but the people we met are upbeat now. In the centre of the country, around the Irrawaddy heartland, the land seems peaceful. In restaurants in India Khow Suey and various other exotica pass as representative Myanmarese food. The truth is that these are uncommon as the main meal even in Myanmar. This selective treatment in Indian restaurans is deliberate, because normal food and high cuisine in Myanmar is not so different from eastern Indian food. Without this selective focus it would be very hard for a restaurant in India to sell itself as exotic Burmese. In normal Burmese meals rice is a staple. 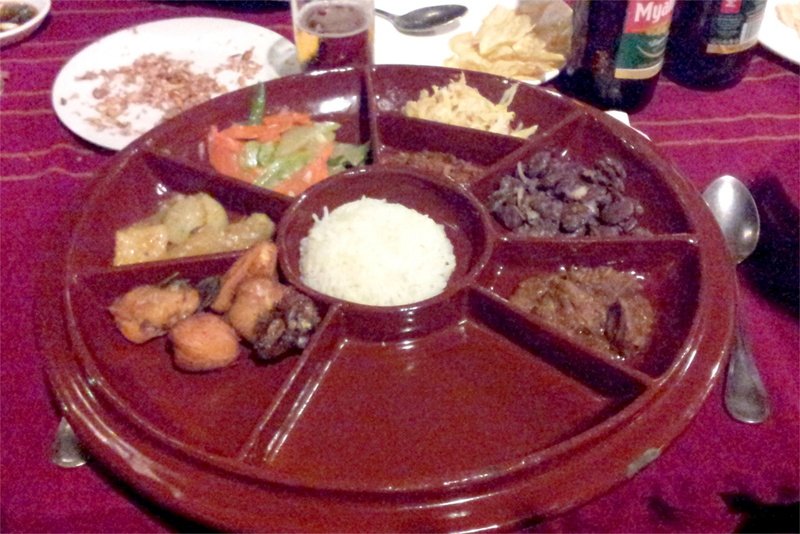 Beans and vegetables are standard accompaniments, made relatively less spicy than their Indian versions, but otherwise very similar. Meat and fish appear on the plate, again cooked in ways that would pass without comment in India. Myanmar sees widespread use of salads; this is not traditional in India. The pickles are different, but then India has so many kinds of pickles, you would not notice that this is foreign. This is what you see on the plate in the photo here. You can also see that beer is a common aperitif. The papads and the remains of the peanuts which are served with it are not so different from the normal Indian practice. There is a wide choice of drinks available. Many of the sweets are also fairly similar to eastern Indian sweets: candied fruits, and coconut and rawa based sweets similar to the Bengali pitha. In the photo you see a local sweet which turned out to be not so different from an Indian chikki. These similarities are very apparent when you walk through a market. Since a significant part of our visit to Myanmar was spent along the Irrawaddy river and other water bodies, we ate a lot of fresh water fish. 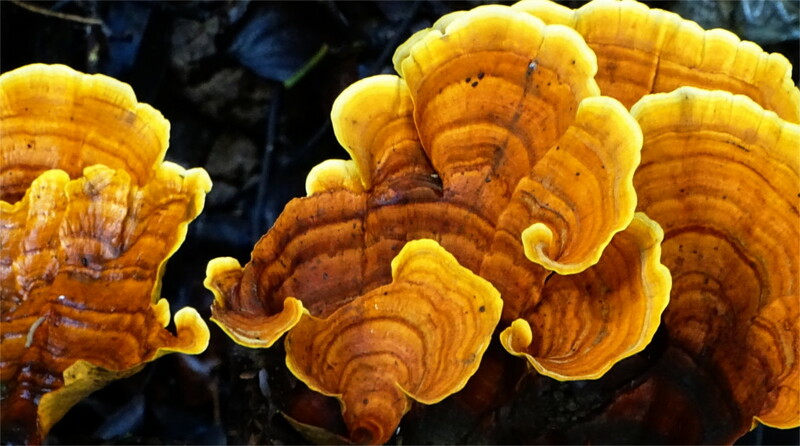 There is a huge variety, just like India used to have before the rise of modern mono-pisciculture. Frying is common, but also many of the preparations steam fish with various ground herbs. Thin curries similar to eastern Indian ways of preparing fish are also widespread. I kept seeing the batter fried prawns which you see in the featured photo all along the Irrawaddy river. 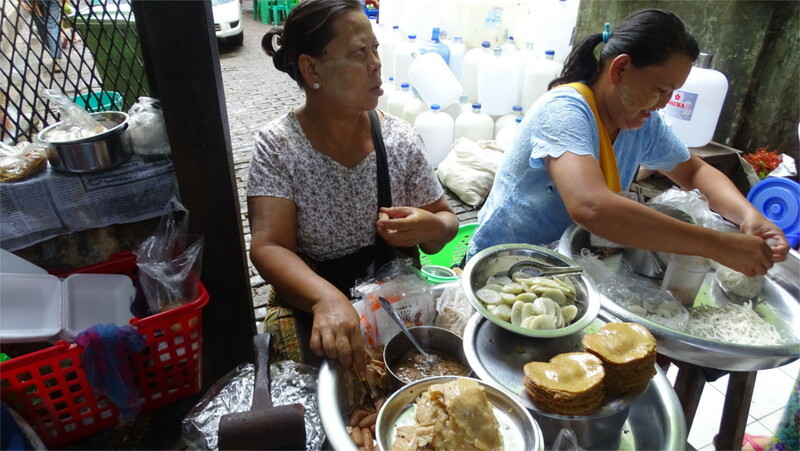 I’ve written earlier about my first impressions of the street food of Myanmar. The striking similarities with India became more apparent as days went by. There is a lot of raw fruit available. Like in India, unripe fruits like mangos and guavas are eaten with salt and spices. You see a vendor in the photo on the left in the panel above. Street vendors sell a variety of sweets as you can see in the middle panel. A lot of this was completely unfamiliar to me. They range from fried pockets to baked and steamed things with the consistency of custard. The photo on the right shows boiled eggs. In most parts of India now the only eggs you see are chicken eggs from battery farms, although I remember much more variety from my childhood. 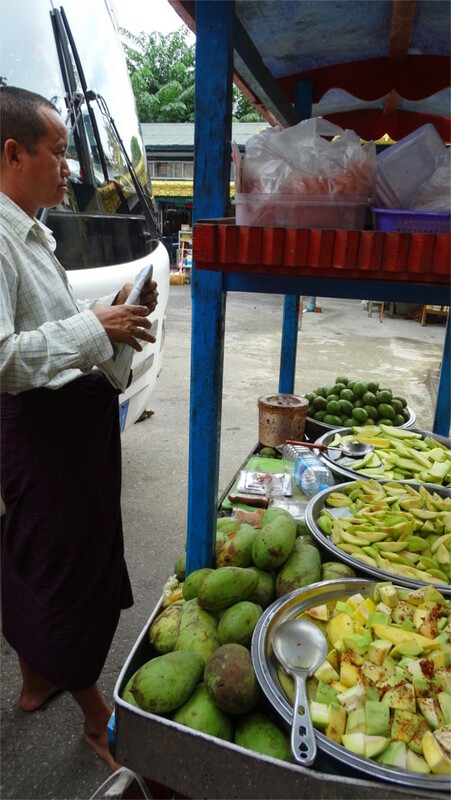 As you can see in the photo above, this variety is still visible in Myanmar: there are boiled duck’s eggs in the lot. 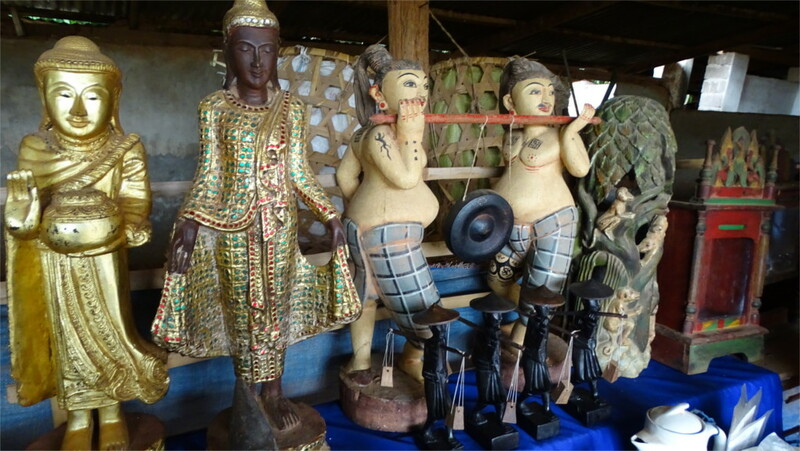 The lady also sells Burma cheroots! The flask she is drinking from had green tea. 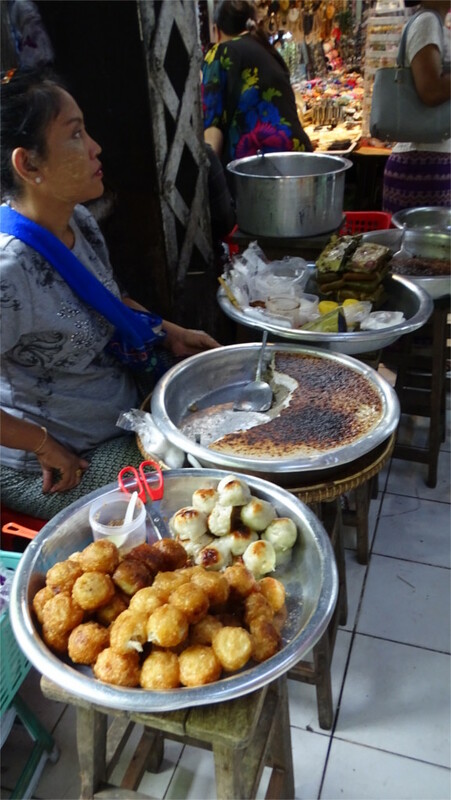 A particularly Burmese snack was the monbao you see being made in the photo above. 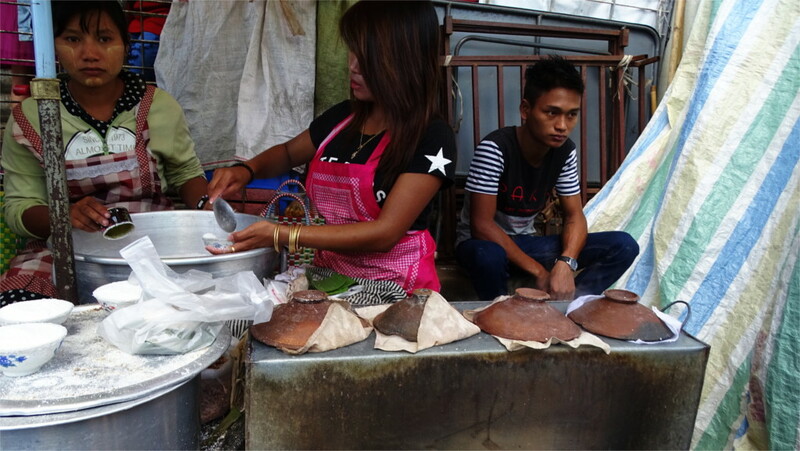 The batter which the girl is ladling into a little container is sweetened rice flour. This is then covered with an earthenware pot and baked on the stove in front of her. This stall was extremely popular. Although I wanted to taste this new food, the queue ahead of me was too long. I had the impression that the word monbao is used for a range of tea time sweets. The pounded mushrooms which you see in the photo above were also new to me. The lady was selling a single variety of mushrooms: the white ones in the bowl near her left hand. She would pound each into the flat brown sheets she has stacked up in front of her. You sprinkle some of the chutney and chopped onions on them and they are ready to eat. It was interesting that some kinds of Indian food are strong favourites in Myanmar. Many people recommended their favourite place for "palatha" (paratha) and "puti" (puri). I gathered from this that these fried bready stuff do not exist in the local kitchen, but have become hot favourites. The image of Indian food this gives to the locals is less distorted than the Indian image of Khow Suey as standard Burmese food. During my couple of days in the Shan state I asked for Khow Suey once and only got fried noodles with pork. I found that khaw swe is just the Burmese word for noodles. I saw this scooter parked outside the Manuha temple in Bagan. 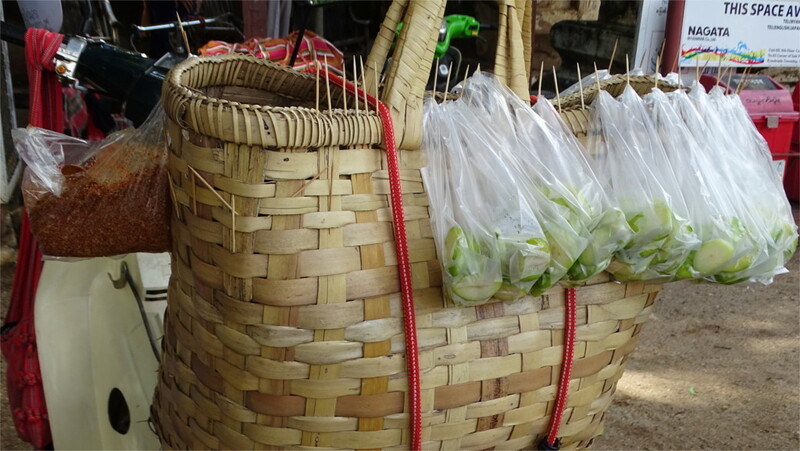 The sliced guavas hanging from the basket at the back, and the plastic bag full of spices reminded me of my childhood when I would spend my little money on buying treats exactly like this. Although Hindi film songs seem to be popular in Myanmar, Hindi is not a language anyone seems to be familiar with. So when you hear Hindi, Bengali, or Gujarati on the road you know for sure that the speaker has some connection with India. As I rushed through a market in Mandalay, I passed the eatery you can see in the featured photo. I’d just lost track of The Family, and peeped in to see whether she was sitting in this unlikely place. The man at the far counter greeted me in Hindi, letting me know that he was of Indian origin. I’d run into another Hindi speaker in Myanmar before this. 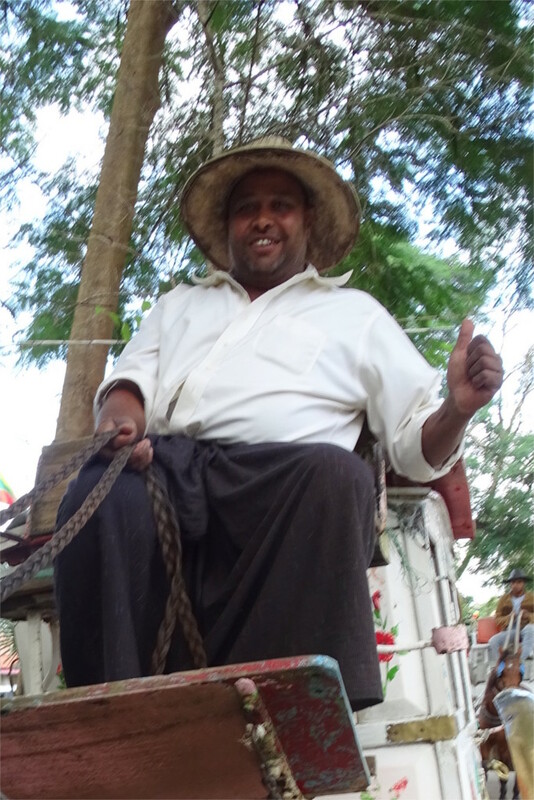 A happy young man driving a horse carriage in Pyin Oo Lwin called out to me in Hindi. As I turned, I saw he was wearing a big grin. 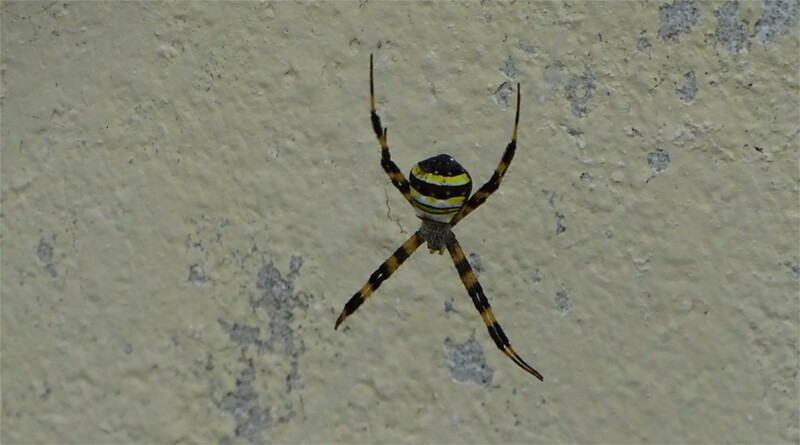 We introduced ourselves; his name was Mahesh. He said that his grandfather had come to Myanmar as a groom in the British army and never went back to his village. 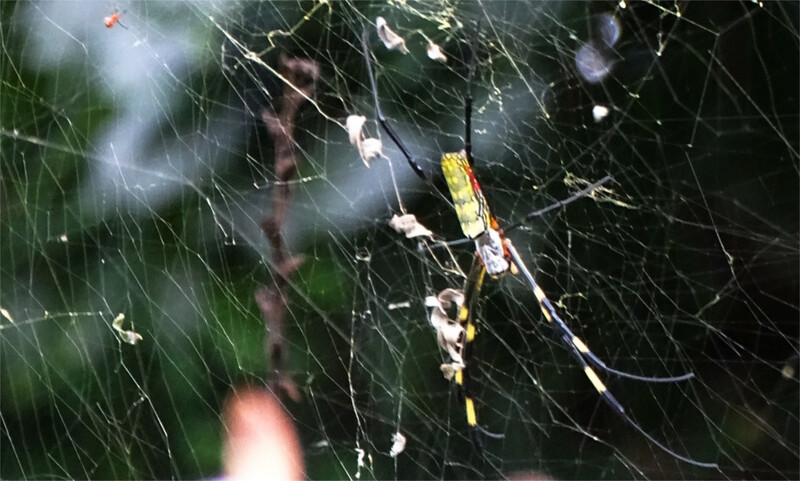 Mahesh knew that a town near his ancestral village was called Arrah. This is in the western part of Bihar. His father succumbed to the charms of a Burmese girl, and now Mahesh is married to one as well. His family speaks Hindi at home, and, of course, they watch movies. He’s never been to India. 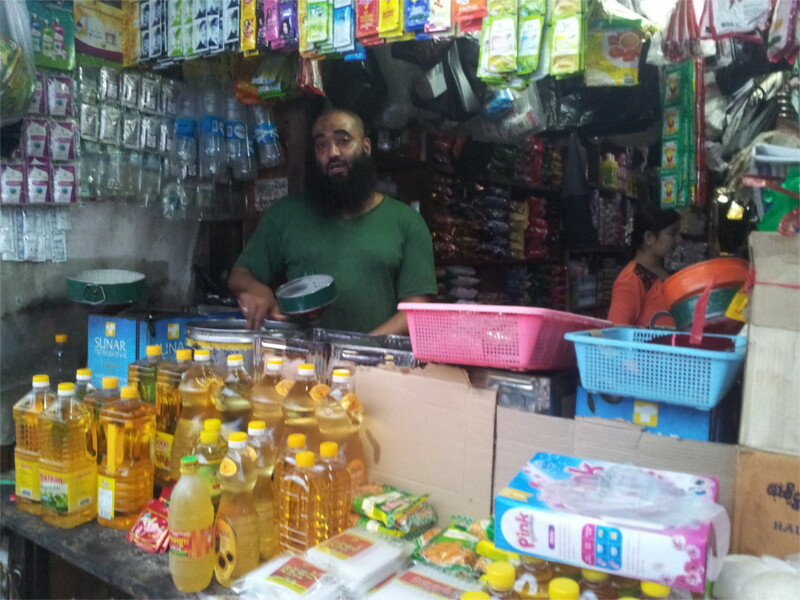 I’d also had a similar run in with Abdul, who owns a grocery store in Pyin Oo Lwin. He called out to me in Hindi. He is also a third generation resident of Myanmar. He was not very clear about why his grandfather had left India. During the years of British Raj people were uprooted from their villages in India and sent across the world for many different reasons. Abdul’s grandfather may have been one of these victims of imperialism. Abdul knew that his ancestral home was near a town called Faizabad. This is in present day Uttar Pradesh in India. His grandfather and father married other Indian immigrants, as did he. They spoke Hindi at home, and he’s never been to India. I guess there is a concentration of immigrants in the region around Mandalay. I met another pocket of immigrants in Yangon. 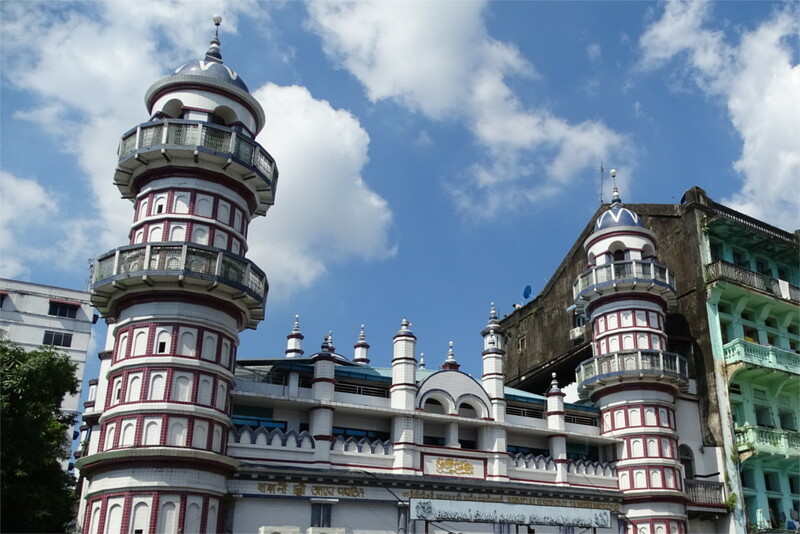 The mosque which you see in this photo stands right next to the Sule pagoda in the centre of Yangon. Large friendly letters across the front say that it is a Bengali mosque. I suppose that many of the people who come here have ancestral homes in present day Bangladesh. I did not meet any of them, but it is conceivable that there is a small number of Indian Bengali muslims in the same jamaat. I ran into many Indians at the mosque of Bahadur Shah Zafar. 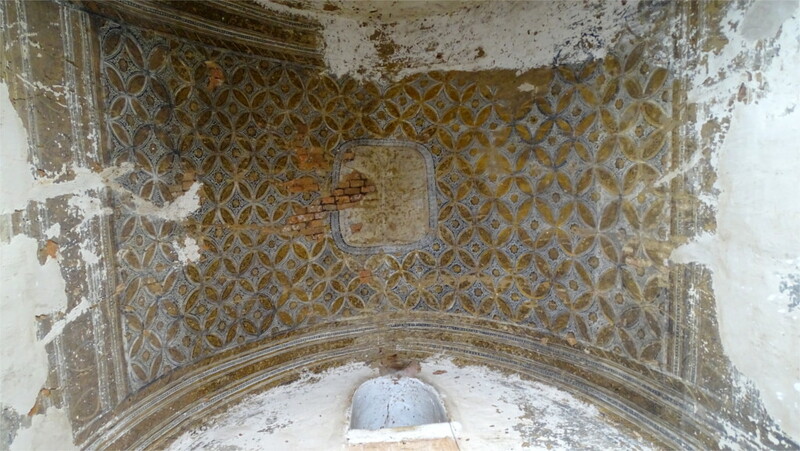 We wanted to see the grave of the last Mughal emperor which is inside this structure. We arrived when prayers were on, and had to wait for a while. 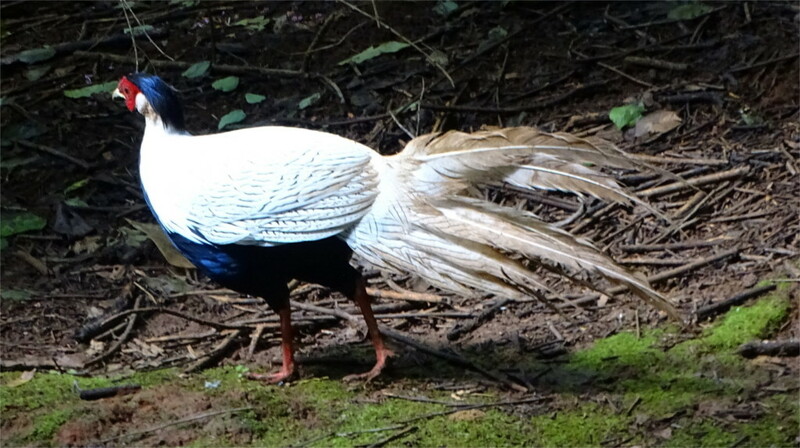 As I waited I noticed a boy wearing a white and gold cap which looked like it could belong to a Bohra of Gujarat. Next to him was a gentleman in a dark shirt who looked Indian. I looked more carefully at the jamaat (congregation) and thought that several of the faces could be from parts of India: some Bengali, some Gujarati and maybe a few from other parts of North India. 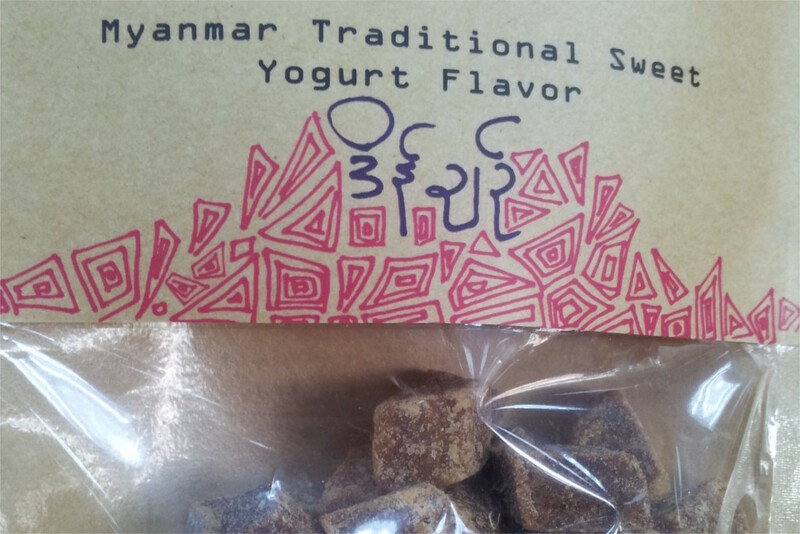 This kind of guessing is terribly error-prone in Myanmar with its incredible human variety. After the prayers finished I chatted with several of the people. Most were businessmen, and several were of Gujarati origin. They are better off; some have travelled to India, but think of themselves as Myanmarese. While I talked to the Gujaratis I could hear a little Bengali in the background, but they were gone by the time I finished. Apparently there are many Tamil and Telugu immigrants to Myanmar as well, but I did not run into any. I found later that many Indians were expelled from Myanmar by the military government. They were barred from holding administrative posts or joining the military, and are not considered to be citizens of Myanmar. I understand that the current civilian government has not changed these policies as yet. You would not want to skip the Shwezigon pagoda in Bagan. After all, it is one of the most important pagodas in the country: said to hold two relics of the Buddha, a tooth and the frontal part of his skull. The 11th century pagoda in the shape of a cone rising over five levels of square terraces, is also the architectural model which is emulated by many of Burma’s pagodas. You can see the terraces in this photo. The niches which run around the wall behind the strange lion in the photo contain tiles which illustrate tales from the jatakas. Apparently king Anawrahta, the founder of Bagan and the one who started the construction of this temple, had placed statues of pre-Buddhist spirits called nats in these niches. They were later moved to a separate chamber inside the temple complex. 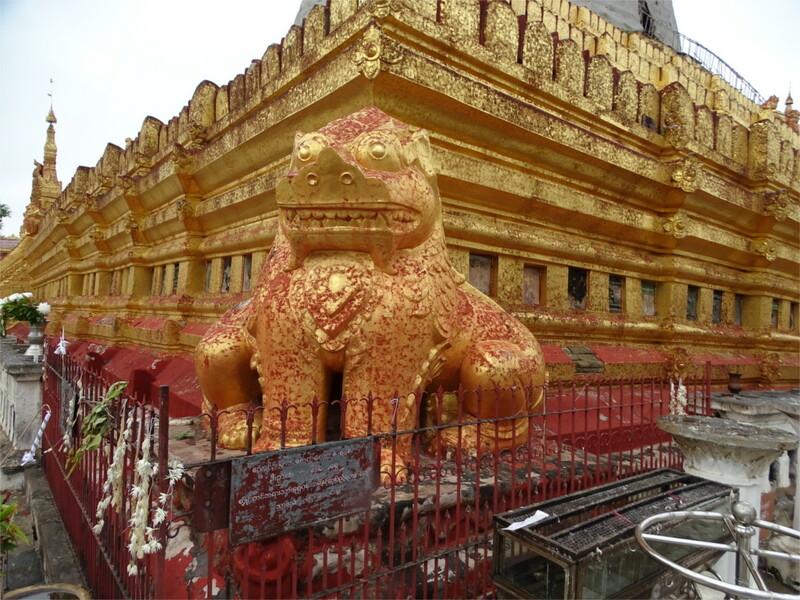 The first impression that one has of this temple is that it is full of gold. It is a little misleading, as you can see in the featured photo. Most of the shiny bits are actually lovely wooden carvings covered in gold leaf. The masonry walls are painted yellow to enhance the effect, as you can see in the photo here. Note also the date on the wall: July 1940. Some parts of the complex are really modern. 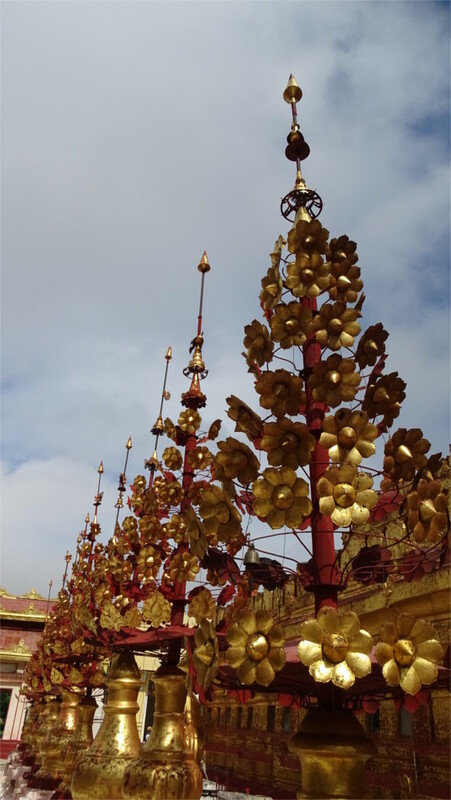 The impression of gold is heightened by these lamps in the shape of flowering trees which surround the pagoda and separate it from the rest of the buildings in the quadrangle. The pagoda is supposed to have been completed by Kyanzittha, the king who followed Anawrahta, and the central dome is covered with copper slabs. The hti (umbrella) over it is said to be made of gold. On the day I went there the dome was being repaired from the damage to it due to the last two earthquakes and the inept restoration which followed the previous one. 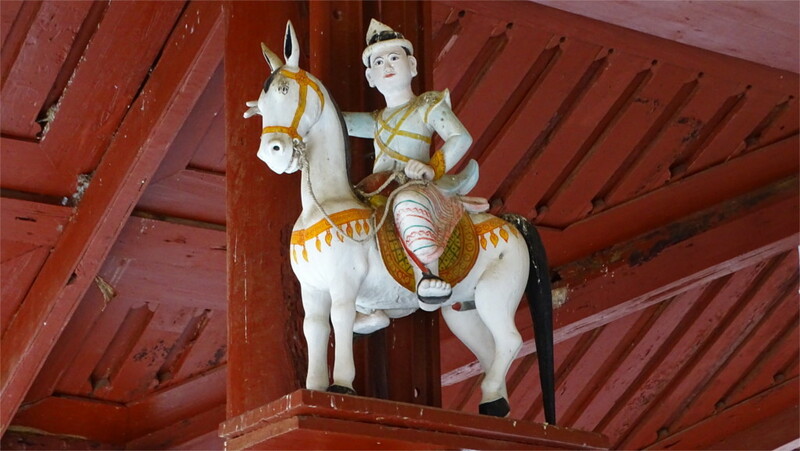 pagoda were several wooden figures placed high up near the rafters. One of them was this figure of a starving man. The longyi which he wears and the long pole he carries reminds me of the boatmen of western Myanmar, near the Bangladesh border. Nearby was a mounted figure. The long ears of the chubby horse made it look like one of the traditional horse figures of eastern India. If it were not for the conical hat, the long white kurta and the dhoti could be mistaken for traditional Indian attire of the 19th century. 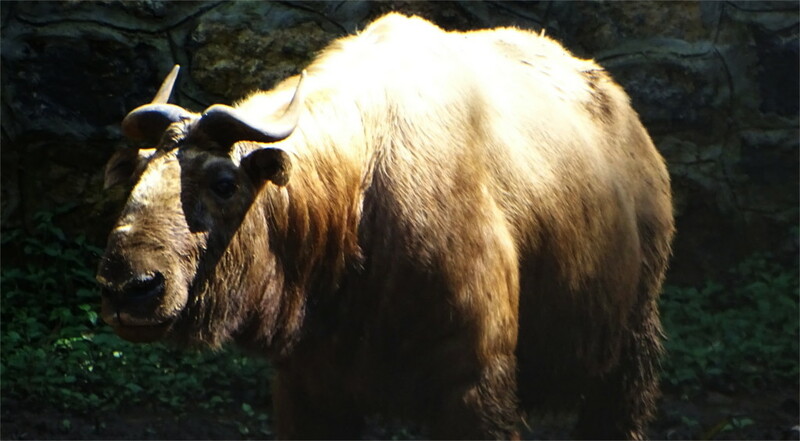 Most visitors to the temple complex were locals. Watching them one learns that temple bells are to be struck thrice: once for the Buddha, once for the Sangha, and once for Dhamma. As you strike the bell you are supposed to share your merits with the world by chanting “ahh mya”. If you happen to be within earshot, then you show your appreciation of the sentiment by replying “sadhu”. I found that the number of people praying is much larger than the numbers who ring bells. 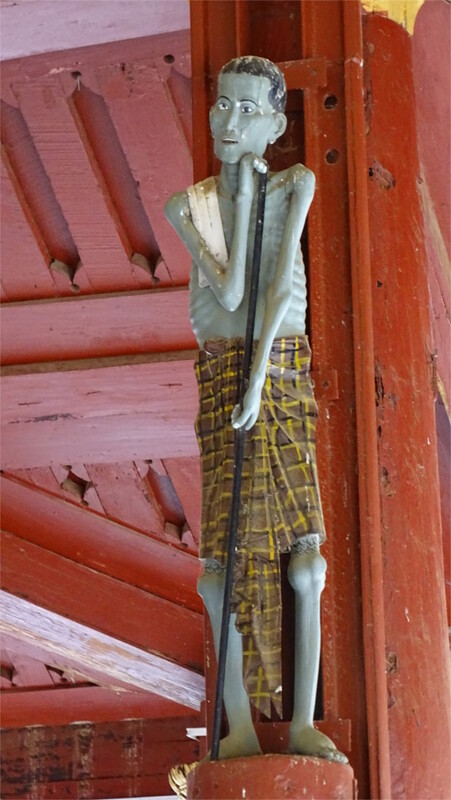 In a building behind the pagoda I came across an intriguing collection of many wooden sculptures. The only one I recognized was what you see above: the Buddha leads a line of bhikkhus, the mendicant monks, who represent the sangha. I had a tougher time interpreting the rest of the figures. In a mahayana buddhist temple I could have thought of some of the figures as powerful celestial beings. 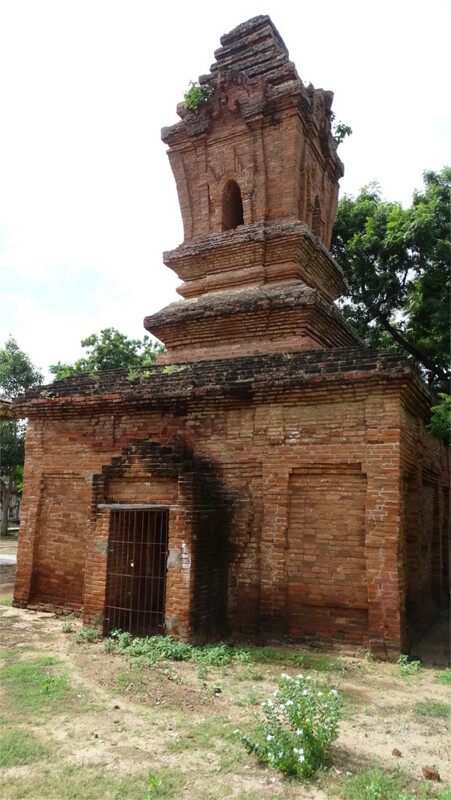 However, Myanmar follows Theravada buddhism, and this was one of the first Theravada pagodas in the country. Perhaps the figures are those of the nats which king Anawrahta placed at the base of the pagoda and were later moved here. This was the first major temple complex I visited in Myanmar and I was struck by the differences between various images of the Buddha one finds here. The serene image you see on the right can be found inside a red-brick temple (see the photo on the left) off to one side of the complex of shrines surrounding the central pagoda. This iconography of the Buddha is common in the whole geographic range from Afghanistan in the west to Japan in the east. The serene smile, the long ears and the hair piled above the head is retained in the statue you see in the photo below. 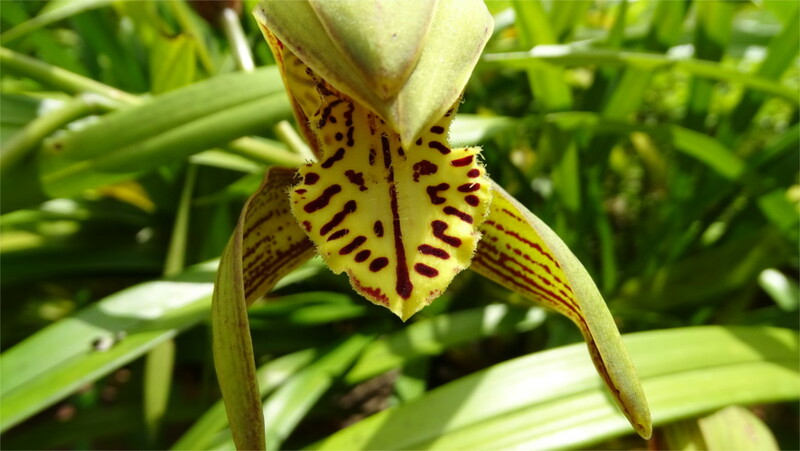 However, the facial features are clearly different: they are typical of the local features. 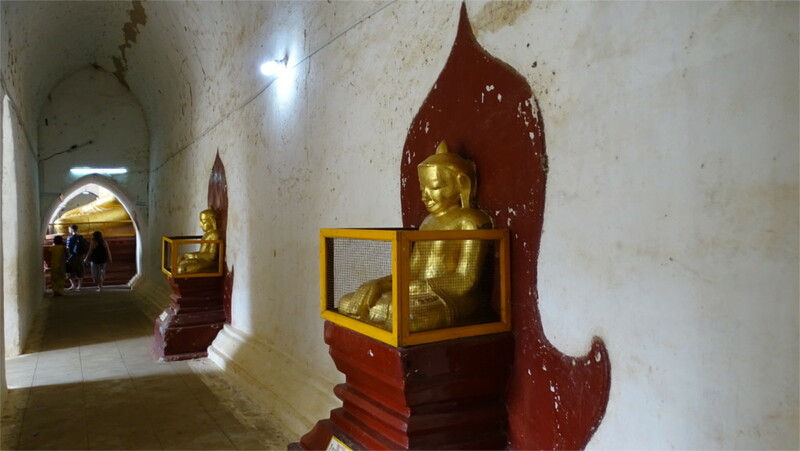 The change from the north Indian to the Burmese face of the Buddha would place these two statues apart by at least a couple of hundred years. 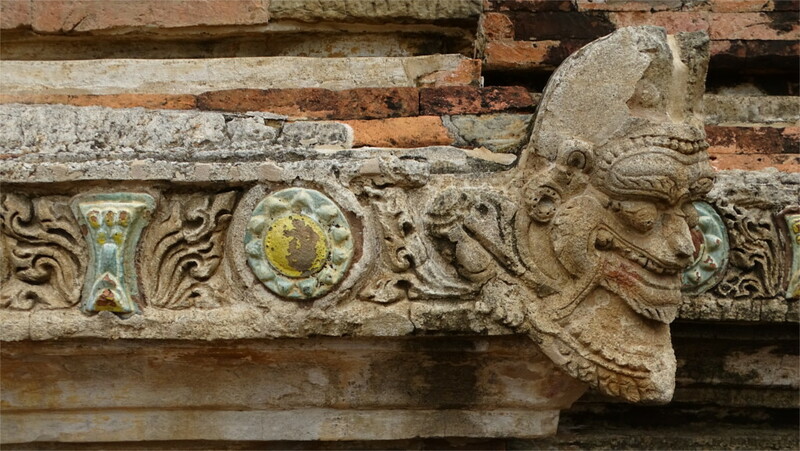 The one on top is likely to be from the early period of Bagan; perhaps it was established soon after the main pagoda was built. The other statue is at least two hundred years older, and could be even more recent. 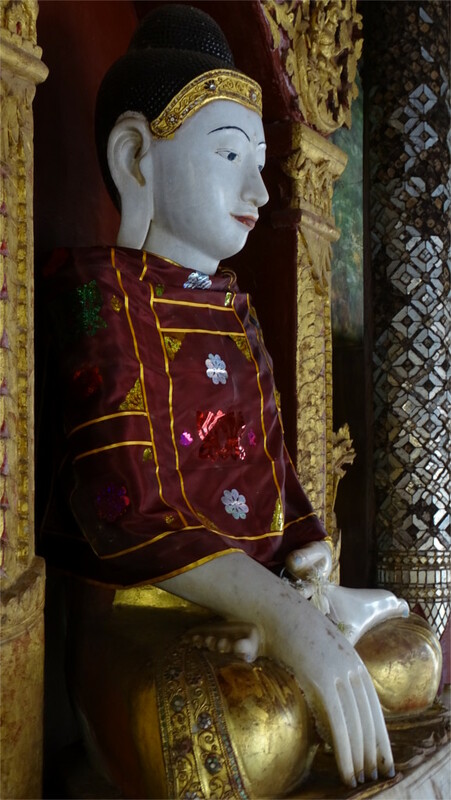 The Buddha is certainly very well represented in the temple in Bagan, but the Sangha is not left out either. On the right you see a photo of a monk, probably high up in the hierarchy of the Sangha, if you go by the confidence in his body language. He could very well be sitting in judgement, or giving his opinion on a subtle point of religious doctrine. 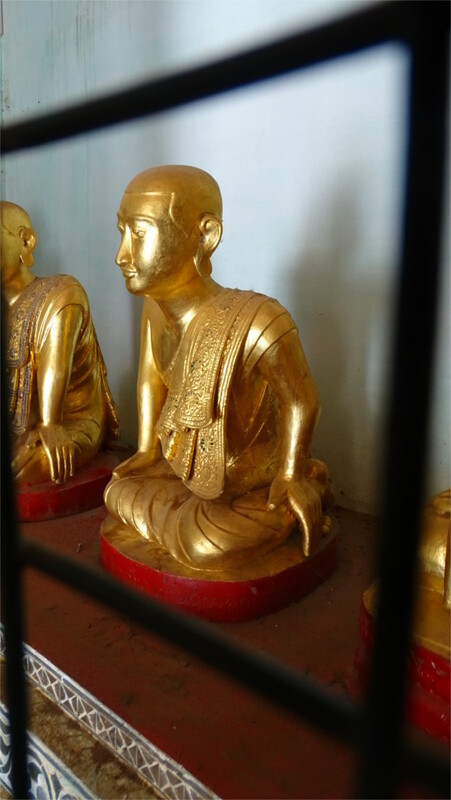 The gilt on statues of monks is something special to Myanmar. 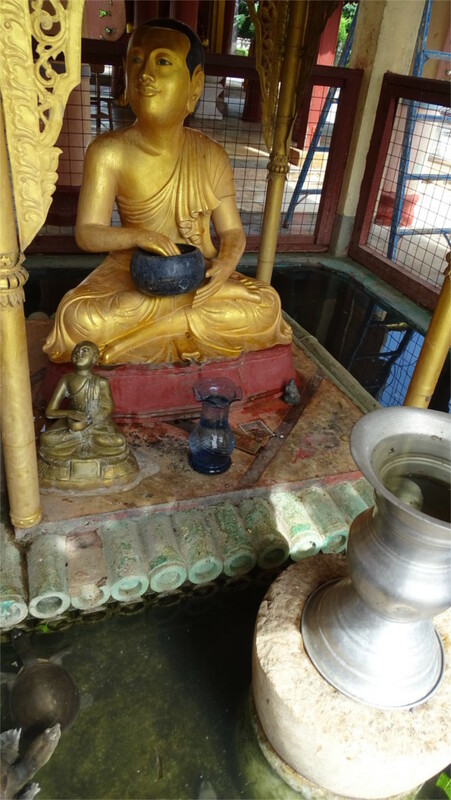 You can see it again in this image of a monk holding his bowl of alms. I like the scaled model down near the monk’s right knee: it gives it a very modern look, as if someone was beginning to construct a fractal. I’m sure that this statue is something special, since it is surrounded by a little moat and the whole thing is fenced off. I only saw two children at the statue. Although they smiled at me and wanted their photos taken, they did not have enough English to tell me what the statue signified. 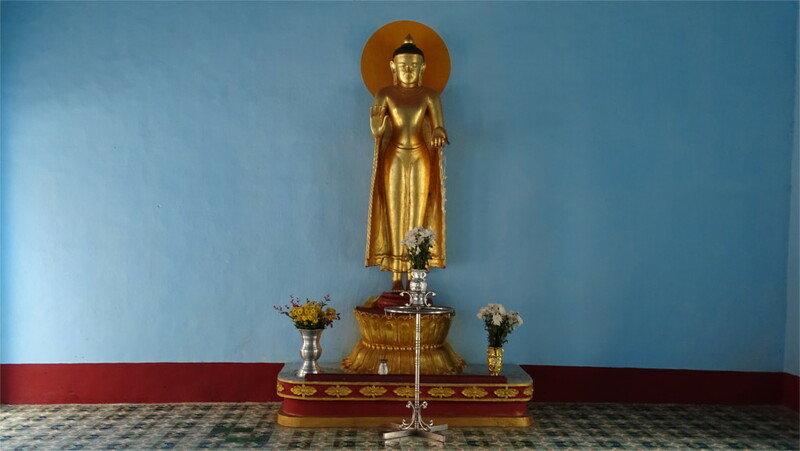 Dhamma is often represented by a mudra, one in which the palm and forefinger of a hand are joined together, and the other fingers are held straight, in statues of the Buddha. In other places I have seen paintings of the sermon in the park at Sarnath; you can see the Buddha teaching with his right hand in this mudra, his disciples seated in front of him, while spotted deer (always deer) and birds look on. 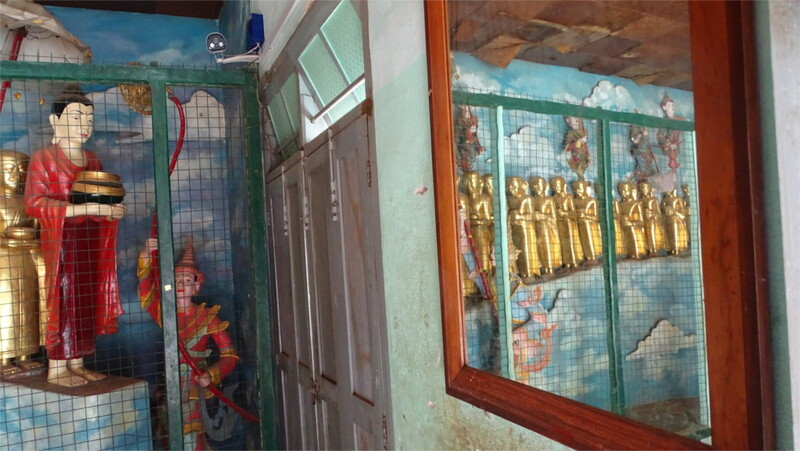 Nowhere in the complex of shrines around the Shwezigon pagoda did I see these depictions. 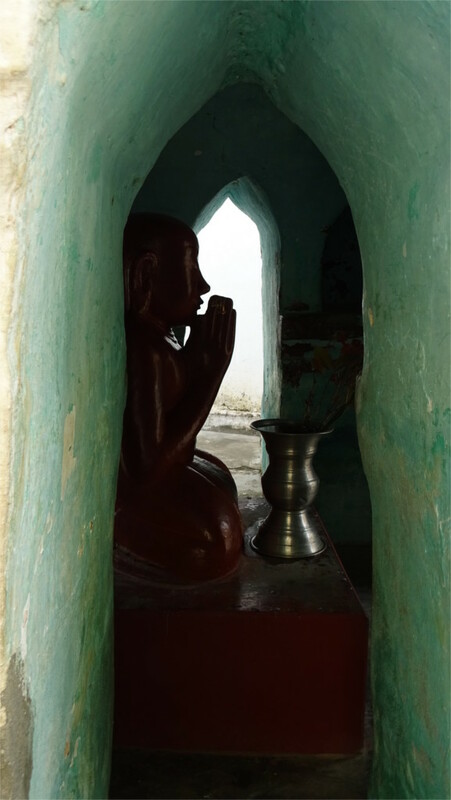 The closest was the statue of a man praying which you can see in the photo here. Could it be that the country considers itself to be so steeped in Dhamma that it does not need to be shown in images? 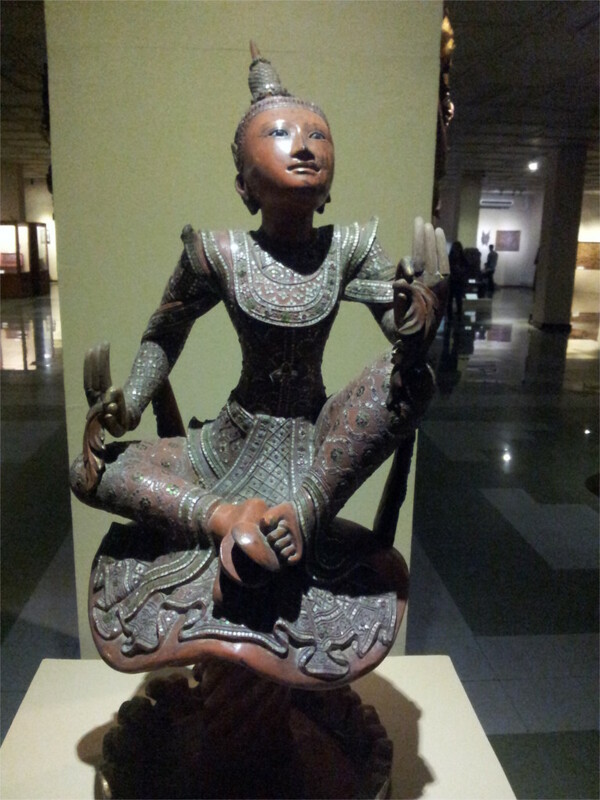 The highlight of Myanmar’s National Museum in Yangon is the lion throne (simhasana) of the Mindon dynasty. Once carted away by the British as a spoil of war, it has now been brought back and displayed in teakwood-lined room in the museum. Unfortunately one is not allowed to take photos here. Photography is allowed in all other rooms of this small but interesting museum. There is enough variety here for any interest: from royal dresses and fossils to items of daily use. One of the things that impressed me was from the gallery which showed household instruments. The large orange press in the shape of an elephant’s head, which you see in the featured photo, must have belonged to a pretty extensive family. There were wonderful pieces from many different periods. I had to hurry through the museum and did not have the time to appreciate the changes in styles over the centuries, but the variety of media was interesting. 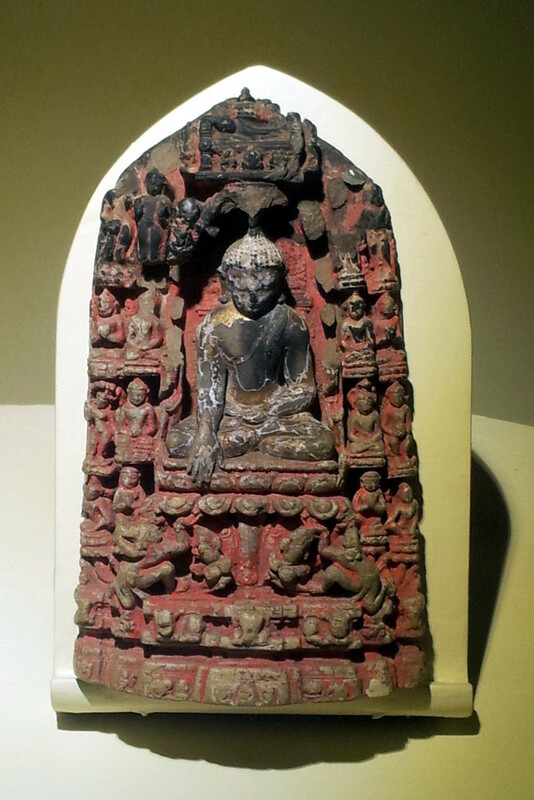 Buddhism arrived early, soon after the Indian emperor Asoka’s time, and stayed. The Indian influence has merged with Chinese to create a very different aesthetic. Here is a photo of a wooden sculpture of a dancer which shows this melding. When one has little time to travel across a country, a national museum is often the place to head to. Myanmar is no exception: the museum has a curated display of some of the finest pieces of art I saw in the country. The tablet with a scene from the jatakas which you see here is an example. The pagodas of Bagan and Indein are full of beautiful art, but to see the quality and variety that is easily accessible here, one has to spend much time at those places, and others. Another way to look at a museum is as motivation you to explore. Either way, the National Museum succeeds in showcasing the artistic genius of Myanmar. Among the other exhibits which I found interesting was the hall which showed the evolution of the modern Burmese script. The exhibits in the natural history section were also interesting; among the fossils was an exhibit of an early anthropoid and cave art and artefacts from the neolithic era. 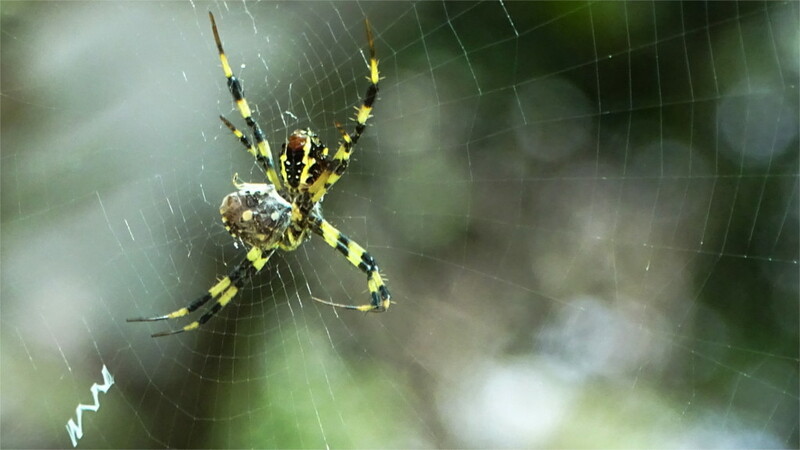 The sprawling 425 acres of the Kandawgyi botanical garden is one of the best places to spend your time in the British era hill station called Pyin Oo Lwin. It was founded by the British Army colonel May and called Maymyo (May’s town). 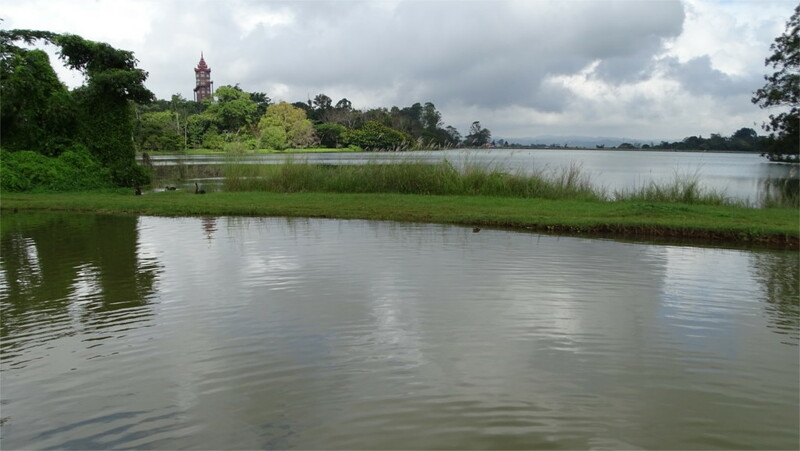 The summer capital of Raj-era Burma remained one of the favourite spots of army generals, so the town has been kept manicured and clean, but renamed. 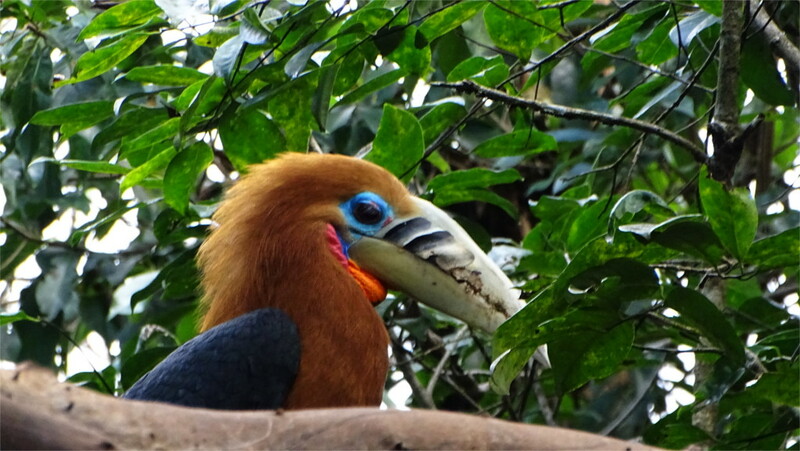 We saw amazing things here: a Hoolock Gibbon in the open (featured photo) and Takins (a Himalayan goat-antelope). 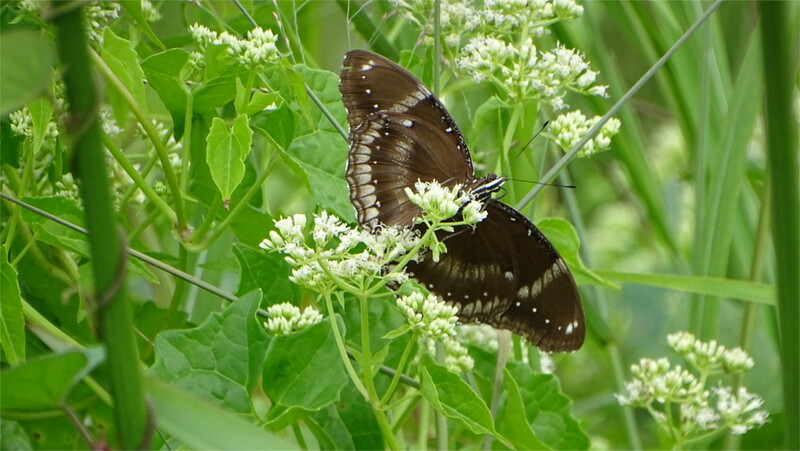 Everything we saw here could also be seen in India, but you’ll have to travel to the wilds, and be lucky, to see them. 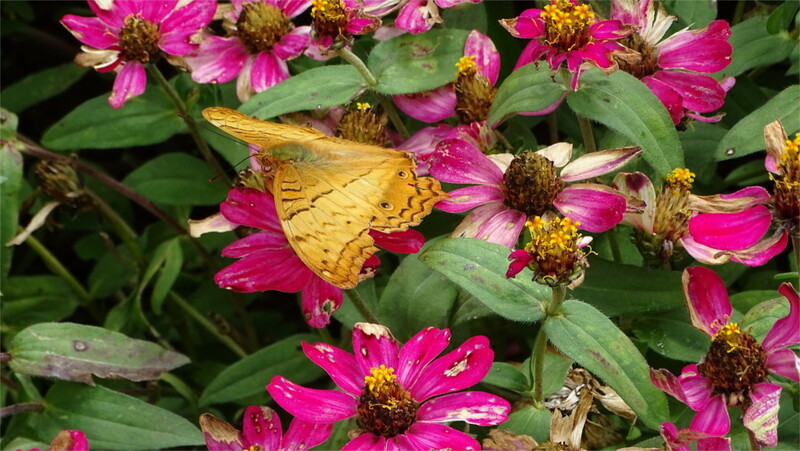 A meandering walk through a garden is a quiet and peaceful way to spend your time, so look through the photos below at your leisure, without my chatter to break the peace. The 61 meter tall Thatbyinnyu is the tallest of the temples of Bagan. On the day we visited it wore a blue plastic bandage to indicate that it is due for repairs after the earthquake earlier this year. The name of the temple means the omniscience of the Buddha. I wondered whether the name is due to its height. It was built in the mid 12th century CE by King Alaungsithu. It has the standard cross form of corridors inside, but is a two story temple, with a massive seated Buddha on the upper story. When we approached it from the south, it seemed that the east-west faces was much broader than the north-south faces; but this was an optical illusion. we entered the temple from the very impressive eastern portico. From here one can see the Ananda temple. The road between them is lined with stalls. I saw someone walk past selling a dish I’d noticed before: it looks like a flat vada made with prawns. The eastern face is ornate. 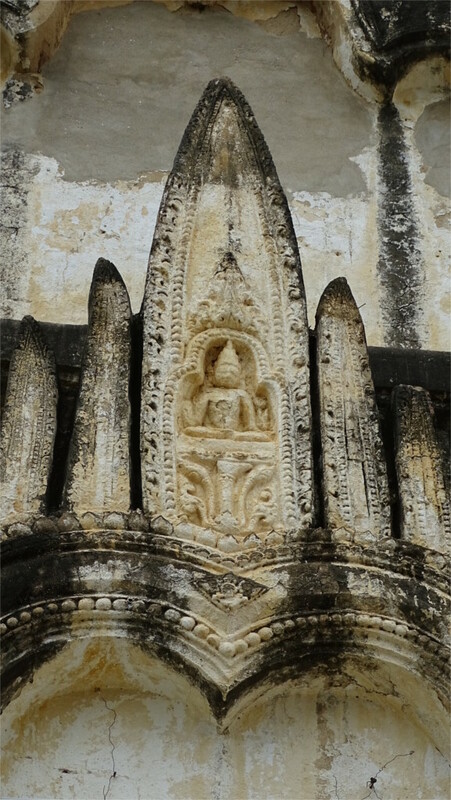 You can see a detail above the main arch in this photo: it seems to show the Buddha in abhaya mudra. The temple was quite full of people: locals praying and tourists gawking. We looked at the large Buddha dominating the entrance, and walked on. The corridors are narrow, and you get a feel of the incredible width of the walls required to support the tall structure, as you can see in this photo. In spite of this, there is much more light than in the Ananda temple because of windows set into an upper storey. The thick walls contain the stairs which run up to higher storeys. One set of stairs is visible as soon as you enter; it is flanked by two androgynous guardian statues. I missed the second flight of stairs: a lesson to either give yourself lots of time or to take a good guide. As we walked along the corridor we saw gilded statues lining the corridors. 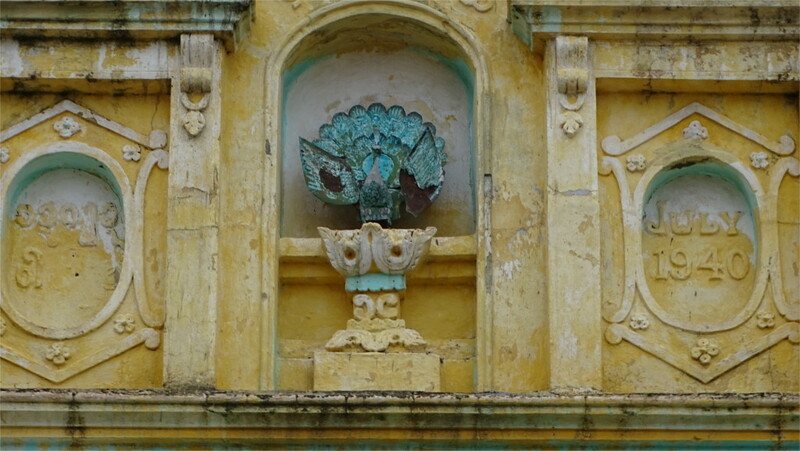 These have clearly evolved to take on Burmese features, as we’d already noticed in the Dhammayangyi temple. We couldn’t figure out why bases of the statues are enclosed in boxes. The Family speculated that it was meant to prevent you from cutting the statue free of the base. It could have a more mundane explanation, but we didn’t play more guessing games. Beyond the end of the corridor where there are people, you can see part of a seated Buddha. The scale shows how large it is. We didn’t see too many paintings. At two spots we saw paintings which had rubbed off, leaving so little that you could not imagine it into a whole. The only place where we saw a reasonably whole painting was the geometrical design on the vault which you can see in the photo above. 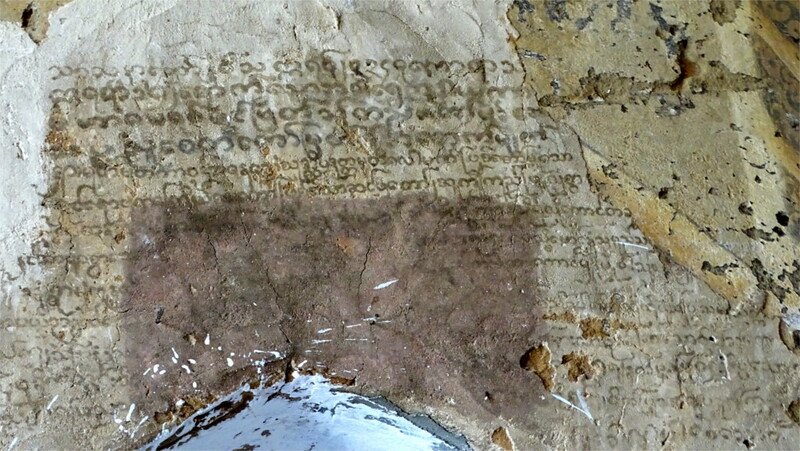 But one of the walls had a long inscription in Burmese. The attempt at uniformity of size of the lettering made me think that this was not graffiti. I wonder how old the inscription is. An interesting fact I read after our visit is that there is a small pagoda to the north-east which served as a tally of the material used for construction: for every 10,000 bricks used in the main temple, one brick would be given to the smaller one. Thatbyinnyu from inside is less impressive than the other major temples of Bagan which we saw, but it really stands out when you see it from outside. There is a claim that the temple was never finished and consecrate. The evidence quoted for this claim is that the outside of the temple contains space for tiles showing scenes from the Jatakas, as in the Ananda temple, but these tiles were never installed. If this claim is true, then it could explain the feeling of incompleteness one has inside. 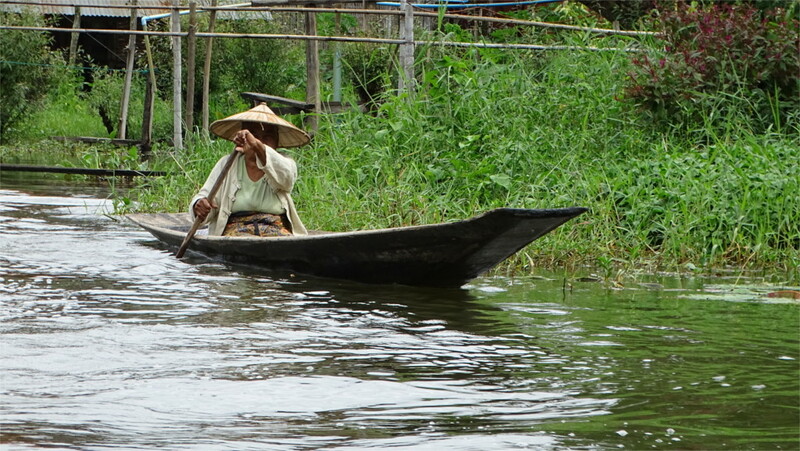 Lake Inle is one of the largest lakes in Myanmar, with a surface area of over 100 square kilometers. 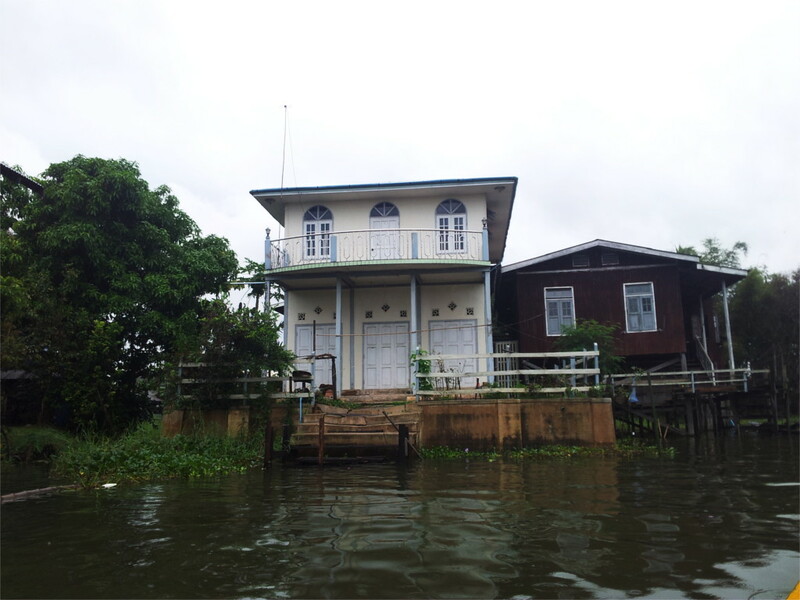 Most of our movement was in very shallow water, through watery villages, and canals cut into various islands. Only when we took the "highways" between them did we move into deeper waters. 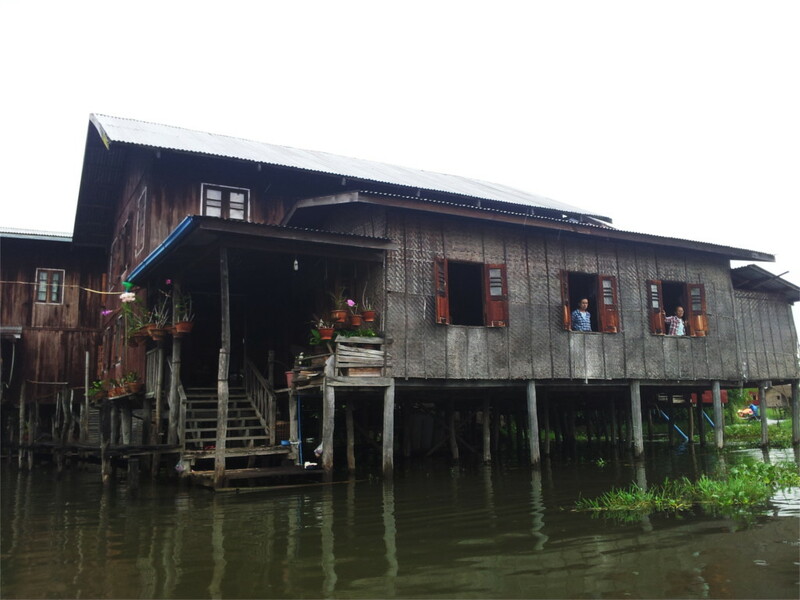 Houses on the lake are raised on stilts, as you can see here. A framework, the floor and the roof are made of wood, and often the walls are mats. The space below the floor is a convenient garage for boats. Some of the houses were simply constructed, like the one above. Others were entirely made of wood, and could be very nice looking, like the one in the photo here. We saw houses up to three storeys high. Occasionally we saw gardens built of mud piles up and held in place by little dikes. 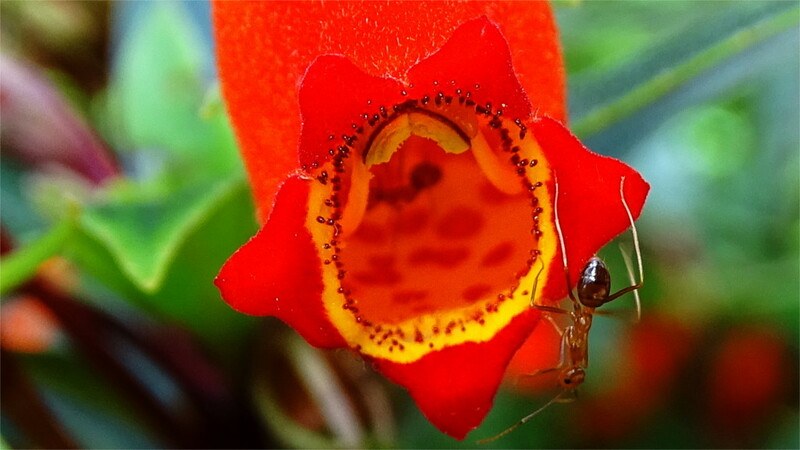 There were flowers in such gardens, and also banana and papaya trees. There are large floating farms on the lake. These are made by clumping together water hyacinth and naturally growing reeds together into a living mass secured by bamboo poles. Then ash is poured on it; over this dredged mud from the bottom of the lake is piled on, and you have farm land. We saw tomatoes and gourds growing in these farms, and heard that cucumber and pulses are also grown. There seemed to be a large population of villages. 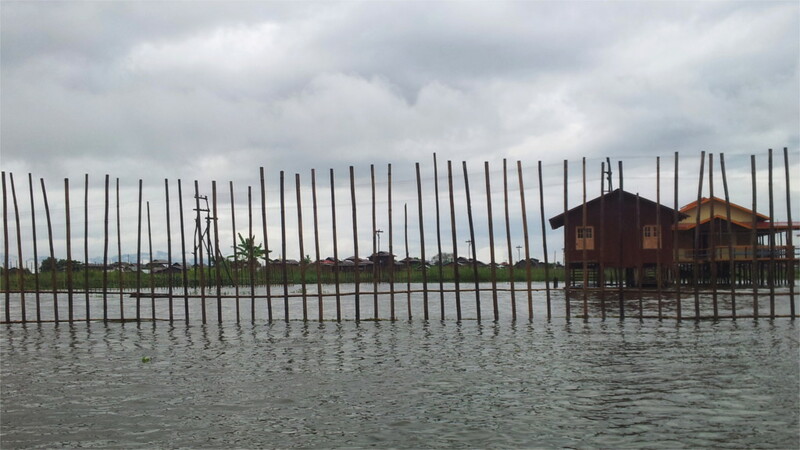 Shallow areas around villages are fenced off, as you can see in the photo above. This seems to indicate not only the boundary of the villages, but also clear paths of deeper water over which boats can travel at speed. 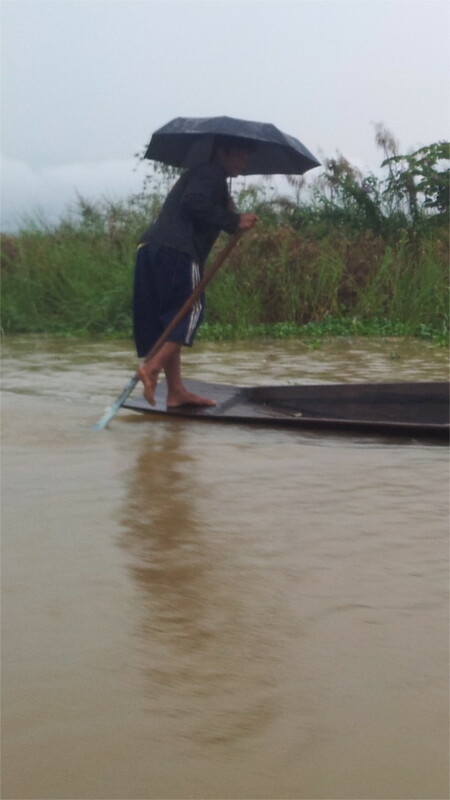 Closer to a village I caught sight of a man trundling along in his boat using the traditional Inle rowing style: standing up on the boat and poling through the water using a hand and a foot. This wonderful style also leaves a hand available to hold up an umbrella against the continuous rain. But I’m told that the main advantage of the style is that one can stand up on the boat and look down at an angle steep enough to see and avoid snares of tangled weeds. 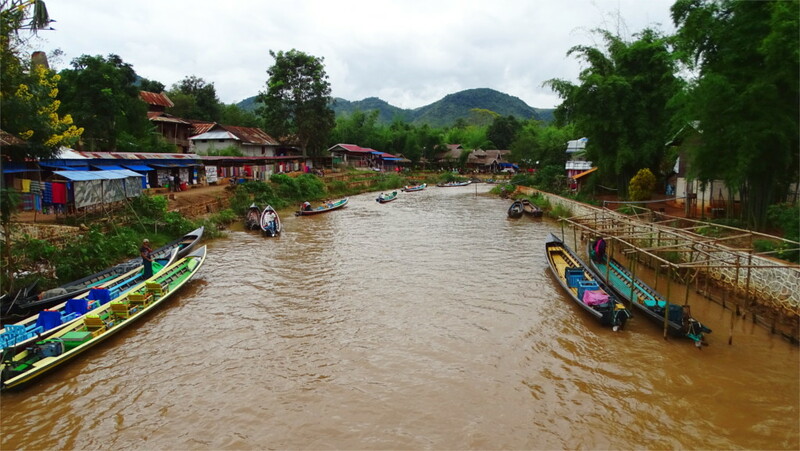 Within villages the waterways are kept clear, and both men and women row sitting down as usual. I loved the sight of people rowing up and down these little channels, calling out to each other, and coming to a halt now and then when they see someone they want to talk to. 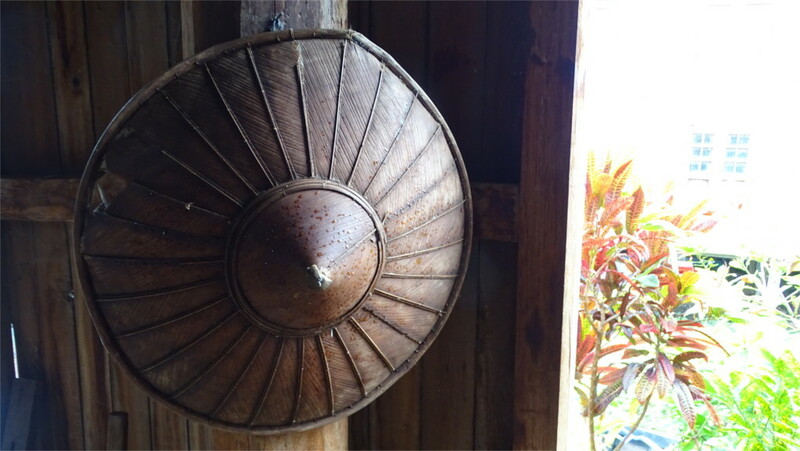 It is the Inle village equivalent of walking around the neighbourhood. I was a little put out by the fact that we were zipping about the lake in a long boat with an outboard motor. I’d expected to spend my days on the lake floating about on row boats. Slowly another fact about living in a lake seeped in. Our boats were the equivalent of what would be buses on the land. The row boats were the equivalent of walking on land. When you want to get from one village to another, walking can be slow, and you might want to hop into a bus. Once I realized this I found, sure enough, that there were other locals on similarly powered boats. As you can see from the photo below, there are two kinds of these "buses". The ones on the left are the luxury buses for tourists, with reclining chairs. The ones on the other side of the canal have no chairs, and are used by locals. During the first half of November we found overcast skies and drizzle almost continuously, with occasional heavy showers. It makes me quite envious about the photographs I see elsewhere of the lake in bright sunshine. On our "luxury buses" each of clutched an umbrella against the rain. A "local bus" went by with a bright yellow tarp pulled across it to cover a full load of schoolchildren. They grinned at us and waved; I just had enough time to wave back. I wished I had my camera out to catch this wonderful sight. In the drizzle the conical hats which locals wear seem to be the correct gear to take along. My arms were tired of holding up the umbrella all morning as we looked at the floating garden and reached the workshop of the lotus-silk weavers. What else do people work at on the lake? I discovered that making jewellery is a major trade here. I groaned a bit to myself when we approached a jeweller’s workshop: an unavoidable stop for tourists. But it turned out to be very interesting. Gold and silver workers were beating out very intricate work. In one corner a girl was threading pearls into a necklace. 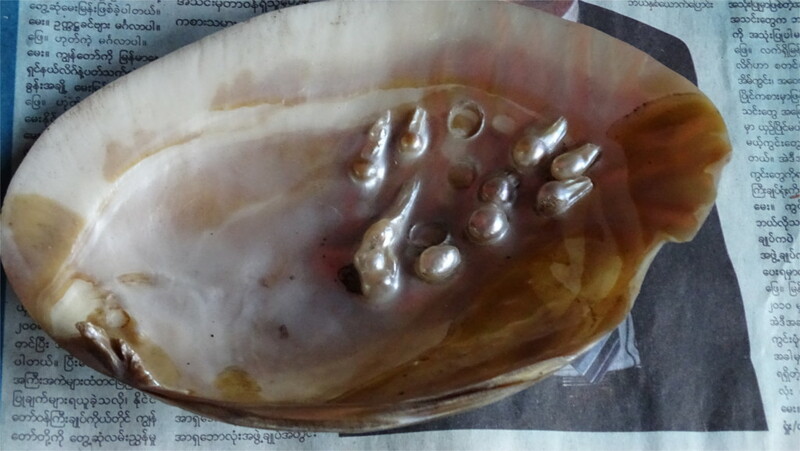 In front of her was an oyster shell with pearls still embedded into it. Elsewhere on the lake we saw woodcarvers at work. This seems to be as common here as in the rest of Myanmar. We saw many attractive pieces, some painted, some polished and a few gilded. Among works which looked like traditional depictions of the Buddha or everyday life on the lake were things which were designed for tourists. We saw a pile of beautifully carved boxes in the shape of fish. Inside them were crude figures of cows and sheep, and a mother and a baby. The person showing this to me said "Christmas". One last bit of produce from Inle is famous; that’s the Burma cheroot you see in the hand of the man in the featured photo. We’d read much about the ill-health of the lake. It was visible around us. 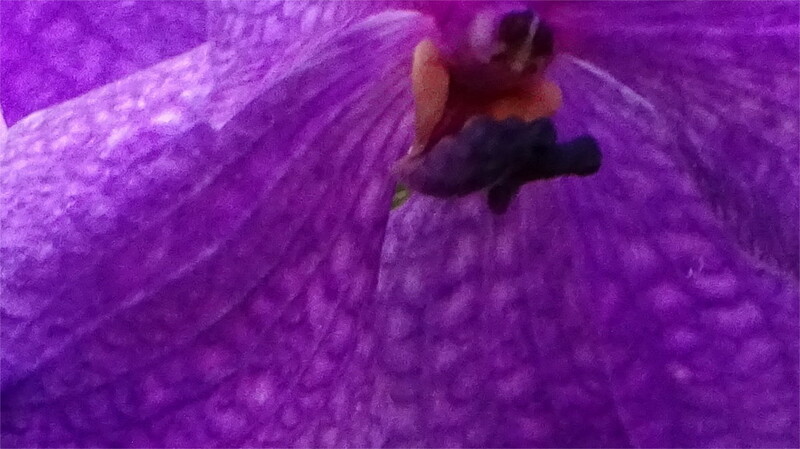 Water hyacinth grows in large mats. The floating farms are large, and growing to keep up with the growing population. This is supposed to be the biggest area of concern today. The increasing number of tourists take up many resources, from space for the floating hotels of the kind we stayed in to dirty outboard motors spewing black fumes. Less visible is the slow eutrophication and siltage in the lake, leading to the growth of bacteria and algae. One sign of this was the price of water. The lake is beautiful and relaxing, and I hope that things turn around. 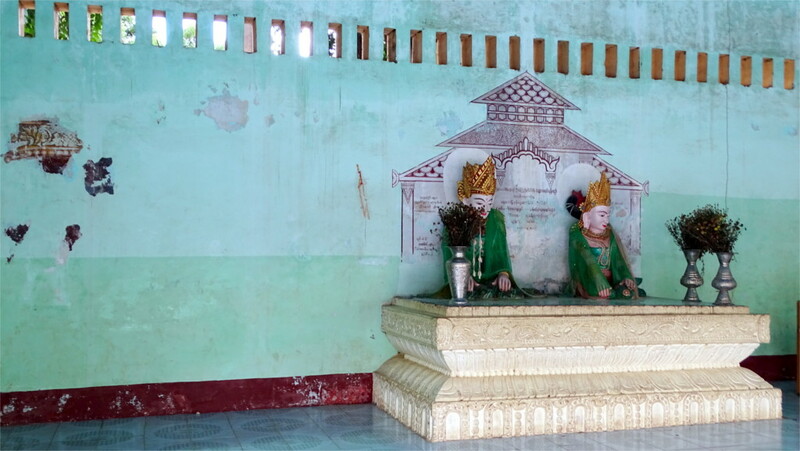 The Manuha temple is one of the earliest in Bagan. Tradition says that it was built at the behest of Manuha, a king taken captive by the founder of the Bagan kingdom, Anawrahta. The most memorable thing about this boxy-looking temple is how cramped all four Buddha images are. There is space for just about one person to move in front of the images. 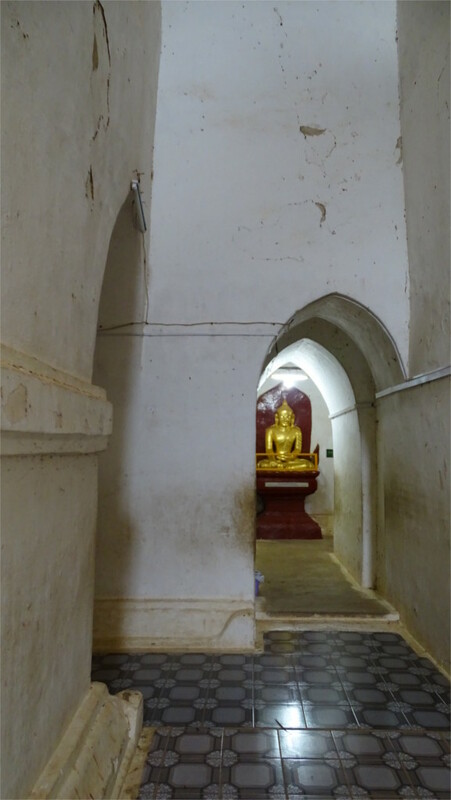 There are three images of the seated Buddha facing the entrance. For some reason we walked to the back first and saw the image of the reclining Buddha shown in the featured photo. The perspective makes it look enormous. Near the foot of the statue is a flight of stairs which takes you up to a point where you are supposed to get a good view of the face. On this day, having come across so many broken stairs, we were not inclined to climb. We walked to the front to see the other images. These look even more imposing: you stand right at the feet of the Buddha, with no space even to throw your head back. The story is that the architecture is designed like the prison the captive king found himself in. 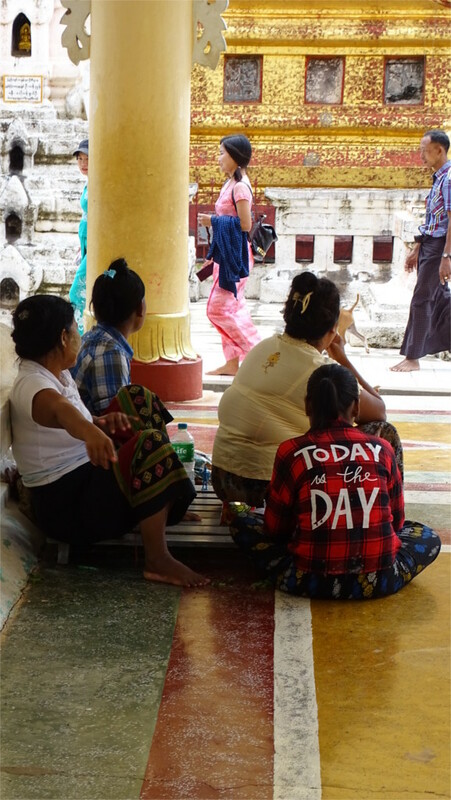 The temple is so closely associated with captivity in the Burmese mind, that the first thing which Aung San Suu Kyi did after her release was to come here to pray. It is easy to miss two small but well-dressed statues in a little alcove off to the side. These are images of king Manuha and his wife, queen Ningaladevi. Manuha was the king of the Mon kingdom Thaton. It is said that he was captured because he refused to give Anawrahta a copy of the Tripitaka, a book of Buddhist teaching. His defeat and capture brought to Bagan many Mon crafsmen and artisans and was important in the development of the Bagan style of architecture. It is likely that the temple structure is small because the captive king had no money to pay for a grander structure. Sula Mani quite literally translates into the Jewel in the Crown. This exquisite temple was one of those that I most wanted to see. It is said that this late-12th century temple combines the best aspects of the Dhammayangyi and the Thatbyinnyu temples. So it was a big disappointment when we arrived there to see that the recent earthquake had so badly damaged it that it was completely off-bounds to anyone. In the featured photo you see a big sign and the plastic wrapping to prevent bricks from falling. What we could see from the outside was remarkable. The Family and I inspected the external mouldings such as the one you can see in this photo. 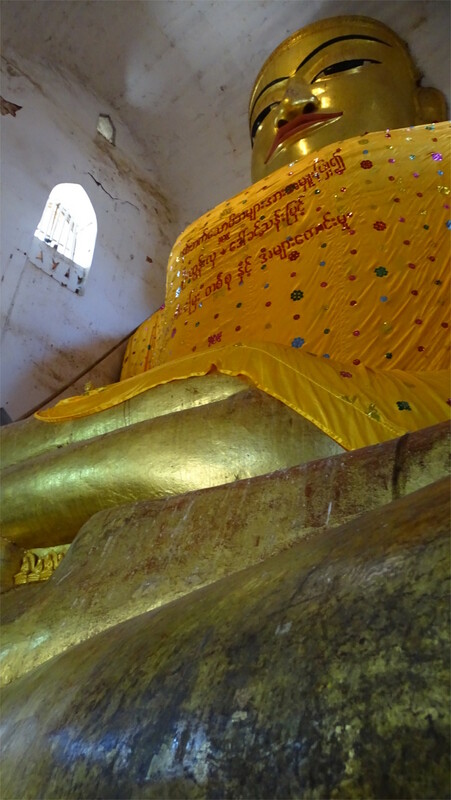 The temple was built to the order of Narapati Sithu (king Sithu) at the height of the Bagan period of Burma’s history. These mouldings are a good indication of how beautiful the temple could be. We pushed a little at the instructions posted for tourists. They said that it is unsafe to climb on to the porch: perhaps some of the bricks could fall. We saw that the plastic sheets wrapped around the damaged spire of the temple were quite comprehensive and ventured as close as we could. 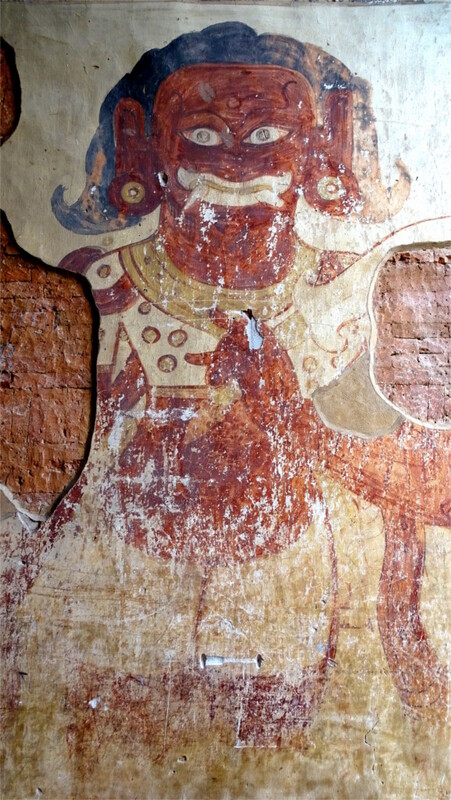 In the massive eastern entry arch we found this mural: damaged but still impressive. We couldn’t explore more: everything was cordoned off. The Family and I loved Bagan, and realized that one can easily spend a week there. If we go back in a few years this temple will be on the top of our list. The crowning jewel, how can one not visit it again?